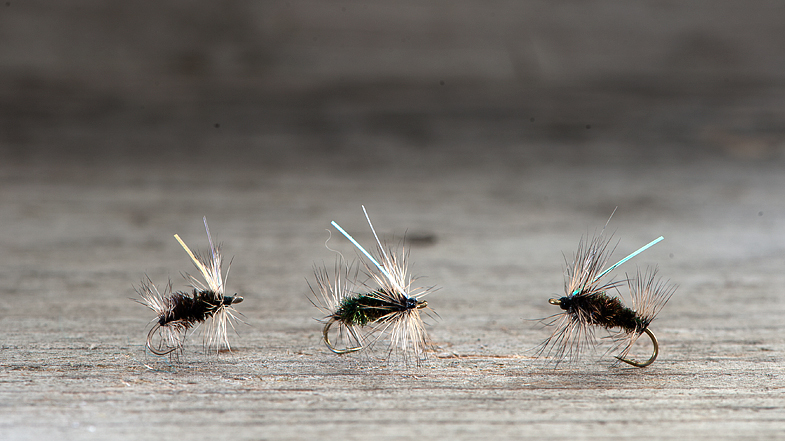 Griffiths Gnat is one of the fly pattern that you always need in your fly box. It imitates whatever sits on the water, and in smaller sizes it imitates midges vey good. We have put a small V-flash-wing on it for easy spotting. Available in size 12-18.